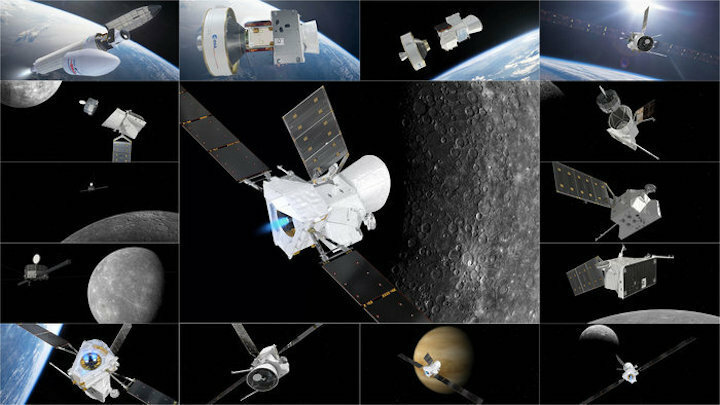 Arianespace’s next Ariane 5 launch, on 19th October, will send the BepiColombo spacecraft on its way to the solar system’s smallest and least-explored terrestrial planet: Mercury. Preparations are moving ahead for Arianespace’s next Ariane 5 launch, which will send the BepiColombo spacecraft on its way to the solar system’s smallest and least-explored terrestrial planet: Mercury. 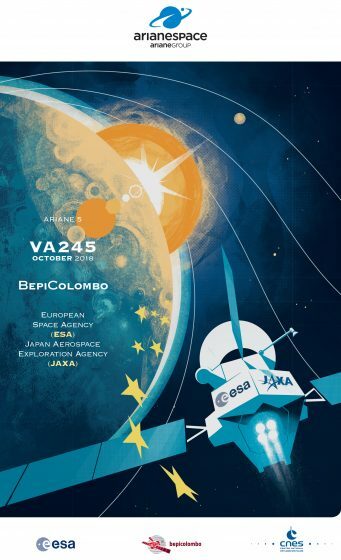 Scheduled for a 19th October lift-off from the Spaceport in French Guiana, BepiColombo is a joint mission of the European Space Agency (ESA) and the Japan Aerospace Exploration Agency (JAXA). Its Mercury Composite Spacecraft (MCS) consists of two orbiters: the Mercury Magnetospheric Orbiter (MMO) and the Mercury Planetary Orbiter (MPO); as well as two additional elements: the Mercury Transfer Module (MTM), and the Magnetospheric Orbiter Sunshield and Interface Structure (MOSIF). 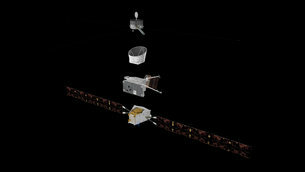 The mission comprises two science orbiters: ESA’s Mercury Planetary Orbiter (MPO, or “Bepi”) and JAXA’s Mercury Magnetospheric Orbiter (MMO, or “Mio”). The ESA-built Mercury Transfer Module (MTM) will carry the orbiters to Mercury using a combination of solar electric propulsion and gravity assist flybys. The seven-year flight will include one flyby of Earth, two at Venus, and six at Mercury, before entering orbit in late 2025. During its one-year nominal mission (with a possible one-year extension), the MPO and MMO will examine the peculiarities of Mercury’s internal structure and magnetic field generation, as well as how the planet interacts with the sun and solar wind. Goals of the mission also include investigating Mercury’s surface features and chemistry. BepiColombo was built under the industrial leadership of Airbus, which heads a consortium of 83 companies from 16 countries. The spacecraft was shipped to Kourou in April. Designated Flight VA245 in Arianespace’s launcher family numbering system, the BepiColombo mission will be the company’s seventh in 2018, following heavy-lift Ariane 5 flights in September, July, April and January; as well as a light-lift Vega launch in August and a medium-lift Soyuz mission in March. For its seventh launch of the year, Arianespace will use an Ariane 5 ECA from the Guiana Space Center (CSG), to send the BepiColombo spacecraft on its way to the solar system’s smallest and least-explored terrestrial planet: Mercury. The BepiColombo mission will be carried out jointly by the European Space Agency (ESA) and the Japan Aerospace Exploration Agency (JAXA). 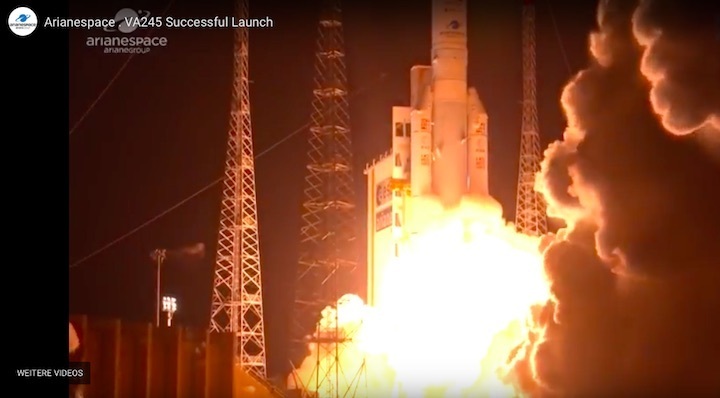 After launching the successful Rosetta mission in 2004, Arianespace’s launch services once again helps unlock mysteries of deep space. Carried out jointly between ESA and JAXA, the BepiColombo spacecraft will conduct an interdisciplinary mission to Mercury, the smallest and least explored planet in our solar system. The purpose of Flight VA245 is to inject BepiColombo into an Earth escape trajectory, allowing its European and Japanese probes to reach Mercury after a seven-year voyage through space. Missions to Mercury already have been undertaken in the past, including NASA’s Mariner 10, which revealed the first images of the planet in 1974-1975; and Messenger, which provided new but also unexpected data and images when it went into orbit around Mercury between 2011 and 2015. However, BepiColombo will be the first-ever European mission to Mercury providing measurements to study and understand the planet’s history, composition, geophysics, exosphere and magnetosphere. As the nearest planet to the Sun, exploring Mercury is key to acquiring knowledge of how terrestrial planets originate and evolve, as well as to understand how conditions supporting life arose in the solar system, and possibly elsewhere. Named after the Italian mathematician and engineer Giuseppe (Bepi) Colombo, the mission comprises dual science orbiters: the Mercury Planetary Orbiter (MPO), developed by ESA to map the planet by focusing on its surface and interior; and the Mercury Magnetospheric Orbiter (MMO) – developed and built by JAXA to investigate its magnetosphere by exploring the environment. The Mercury Composite Spacecraft (MCS) consists of the MTM, MPO, MMO, and MOSIF. The Mercury Transfer Module (MTM) will carry the two orbiters (MPO and MMO) to their destination and the MMO Sunshield and Interface Structure (MOSIF) will provide thermal protection. The expected arrival is scheduled in late 2025, with BepiColombo to be gravity captured after jettisoning the MTM. Its descent into Mercury orbit will be performed by chemical propulsion engine within the MPO. Once at Mercury, BepiColombo will endure temperatures in excess of 350°C. It will then conduct a one-year nominal mission, with a possible one-year extension. 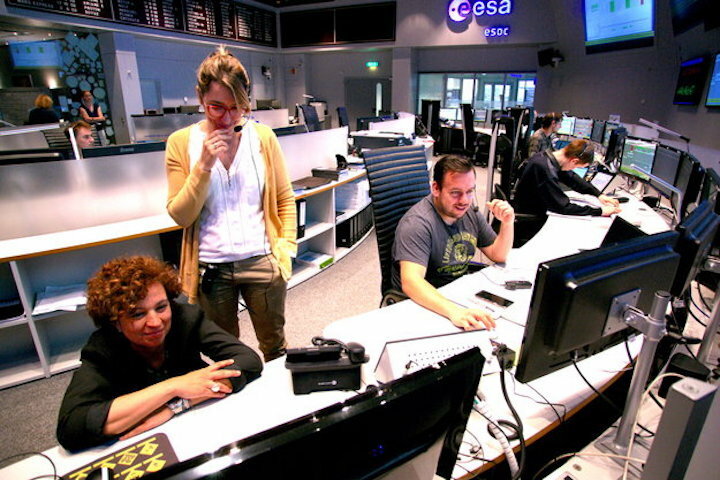 With launch set for 20 October, flight controllers led by Operations Manager Elsa Montagnon are now busily preparing for the start of what will be Europe’s first mission to Mercury — the smallest and least explored terrestrial planet of the Solar System. 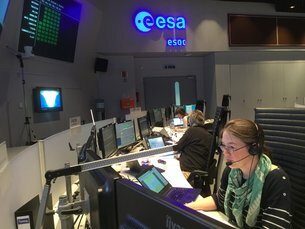 “Mission teams have spent months simulating BepiColombo’s unique and complex journey,” explains Elsa. BepiColombo is a joint mission between ESA and the Japan Aerospace Exploration Agency (JAXA). The mission comprises two science orbiters: ESA’s Mercury Planetary Orbiter (MPO) and JAXA’s Mercury Magnetospheric Orbiter (MMO). The ESA-built Mercury Transfer Module (MTM) will carry the orbiters to Mercury using a combination of solar electric propulsion and gravity assist flybys. After its arrival at the planet of extremes in 2025, it will spend at least a year in orbit gathering data on Mercury’s composition, density, magnetic field and exosphere, as well as probing the planet’s interaction with solar wind. Before the science begins, however, the multi-module spacecraft has to safely escape Earth, switch on, and receive instructions from mission control on where to go next. Europe’s space scientists have identified BepiColombo as one of the most challenging long-term planetary projects ever flown, as Mercury’s proximity to the Sun makes it difficult for spacecraft to reach without being pulled into the star’s enormous gravity. “To get to Mercury without being subsumed by our giant star, the spacecraft will make a series of nine planetary flybys; circling Earth once, Venus twice, and Mercury itself six times,” explains Andrea Accomazzo, Flight Director for BepiColombo. The Sun’s huge gravity field acts as an enormous gravity ‘well’. Getting a spacecraft to Mercury, and therefore close to the Sun, means dropping it into this steep well – the difficulty comes in ensuring the spacecraft ends up at Mercury and not at our gigantic star. “The closer we get to the Sun the more we are constricted in our path,” explains Frank Budnik from the Flight Dynamics team. 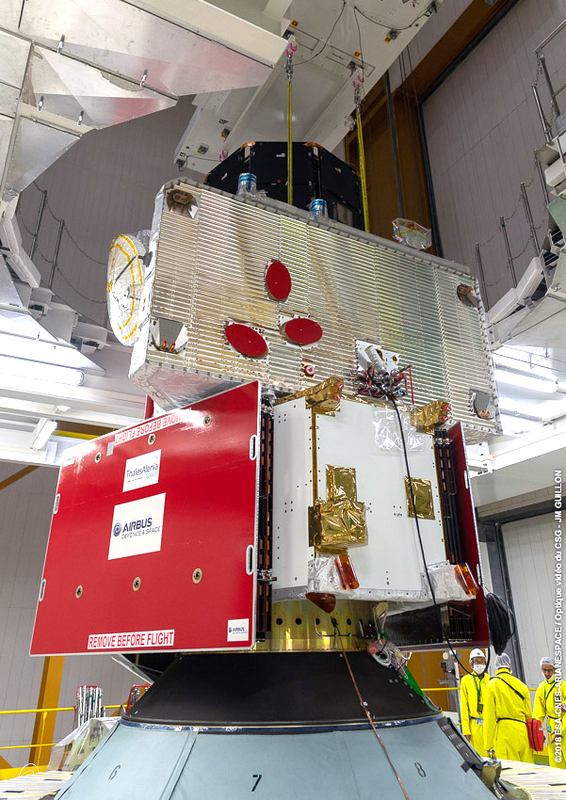 BepiColombo will launch at 01:45 GMT (03:45 CEST) on 20 October, on board an Ariane 5 rocket. After the spacecraft separates from the rocket's 'upper stage', teams at ESOC will take control, sending commands to the spacecraft to get it into normal operational mode — a process that is expected to take about four days. 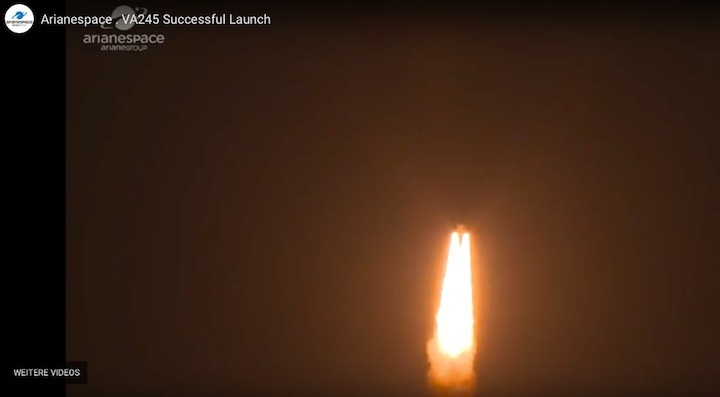 This period, dubbed the ‘Launch and Early Orbit Phase’ (LEOP), sees the control systems and instruments switched on, and their health and proper functioning assessed. This is a risky time when the satellite is unusually vulnerable — not yet fully functional but still exposed to the hazards of space. In preparation for this vital period, mission control teams have spent months simulating every expected scenario — the perfect LEOP, launch and separation of the satellite from the launcher, as well as a whole host of scenarios in which something goes wrong. 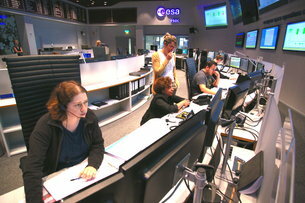 Establishing contact between the spacecraft and mission controllers has also been rehearsed. Deep space ground stations across three continents will support this mission, with ESA’s global antenna network maintaining links to and from BepiColombo throughout the journey. “BepiColombo is one of the world’s most ambitious interplanetary missions, and it could not be in safer hands,” says Rolf Densing, Director of Operations at ESOC. The European Space Agency’s BepiColombo spacecraft will launch towards Mercury carrying a unique payload designed and built at Southwest Research Institute: an instrument called Strofio, which will study Mercury’s tenuous exosphere. Part of the SERENA suite of instruments, Strofio’s measurements will help us better understand the planet’s surface and the history of the smallest rocky planet orbiting close to the Sun. Mercury’s proximity to the Sun makes it difficult to observe from Earth. It is also challenging for spacecraft to reach and to survive in the harsh environment. The BepiColombo mission includes two spacecraft — ESA’s Mercury Planetary Orbiter and the Japan Aerospace Exploration Agency’s (JAXA) Mercury Magnetospheric Orbiter (MMO) — that will study Mercury and help us learn about the formation of our solar system. From aboard MMO, Strofio will study how Mercury’s exosphere and magnetosphere interact with each other and the planet’s surface. To understand these interactions, Strofio must identify the particles escaping from Mercury’s surface. Because the exosphere is so thin, sampling particles is particularly challenging — in fact, the amount of particles is so sparse that the environment can’t be easily mimicked in a typical vacuum chamber. Scientists had to tackle this problem while developing and evaluating the super-sensitive Strofio instrument. Facilities at the University of Bern in Switzerland could create the necessary parameters and, over a course of a few months, allowed SwRI to analyze and demonstrate how the experiment will work in the Mercury environment. Every particle captured is analyzed in a rotating field. When and where each particle gets to the detector determines the mass and composition. Strofio uses detection algorithm tools to enhance the instrument’s sensitivity and improve identification. The instrument also had to meet strict mass and configuration limits associated with the spacecraft. The basketball-sized instrument weighs just over 7 pounds. 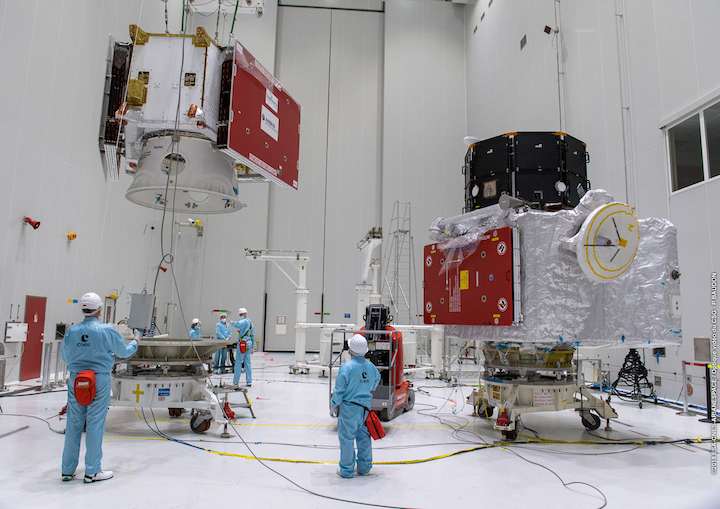 BepiColombo is the first time ESA and JAXA have joined forces on a major space science mission. NASA frequently collaborates on ESA missions, including the Rosetta mission to Comet 67P and the JUpiter ICy moons Explorer (JUICE) mission, set to launch in 2022. 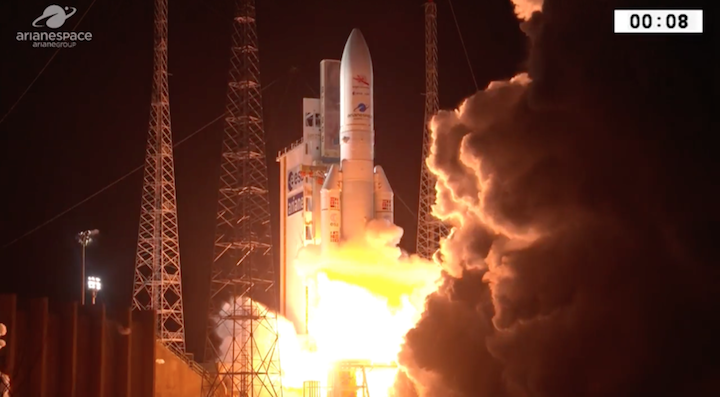 This week’s Ariane 5 flight that will send BepiColombo on its way to the planet Mercury has been approved for liftoff on October 19, following the launch readiness review held today at Europe’s Spaceport in French Guiana. 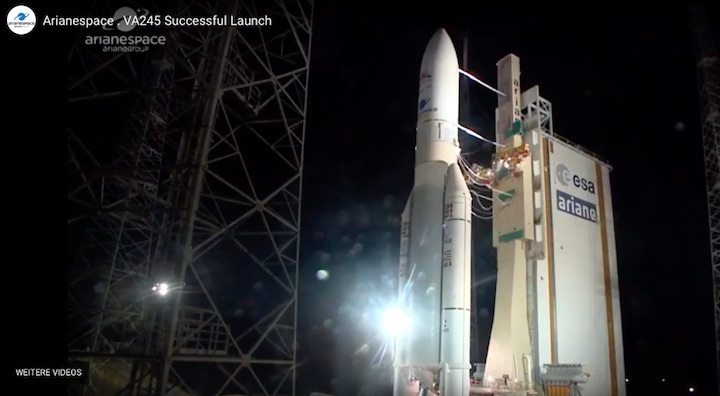 Performed prior to each Arianespace flight, the launch readiness review validated the “go” status of the Ariane 5 ECA launcher version, the multi-segment BepiColombo spacecraft, as well as the Spaceport’s launch site infrastructure and the network of tracking stations. With approval granted, Ariane 5 is cleared for rollout tomorrow from the Final Assembly Building to the ELA-3 launch zone. Designated Flight VA245 in Arianespace’s numbering system, the launch will deploy its BepiColombo passenger during a 26-minute sequence – with liftoff set for a precise moment on October 19: 10:45:28, local time in French Guiana. BepiColombo is a joint mission of the European Space Agency and the Japan Aerospace Exploration Agency. Its Mercury Composite Spacecraft (MCS) consists of two orbiters: the Mercury Magnetospheric Orbiter (MMO) and the Mercury Planetary Orbiter (MPO); as well as two additional elements: the Mercury Transfer Module (MTM), and the Magnetospheric Orbiter Sunshield and Interface Structure (MOSIF). BepiColombo was built under the industrial leadership of Airbus, which heads a consortium of 83 companies from 16 countries. After launch by Ariane 5, BepiColombo will arrive at Mercury in late 2025. 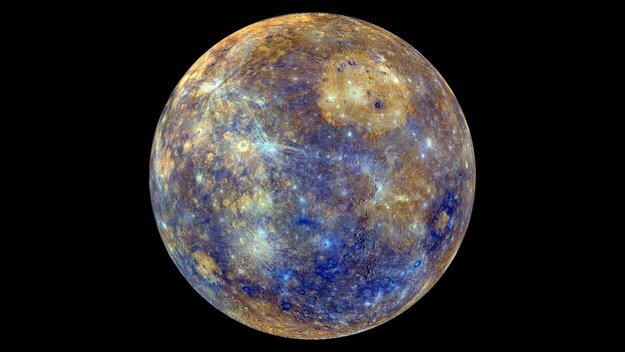 During its one-year nominal mission (with a possible 1-year extension), the MPO and MMO will examine the peculiarities of Mercury’s internal structure and magnetic field generation, as well as how the planet interacts with the sun and solar wind. Goals of the mission also include investigating Mercury’s surface features and chemistry. on Oct. 20 09:45:28 p.m.
on Oct. 19 10:45:28 a.m.
on Oct. 20 03:45:28 a.m. Teams responsible for flying the bold BepiColombo mission to Mercury today completed the last major step in preparation for Saturday’s liftoff — the final pre-launch ‘dress rehearsal’ at ESA’s ESOC control centre in Darmstadt, Germany. Experts from mission operations, flight dynamics, ground stations and software systems, together with representatives from science and management teams, and the manufacturer, came together for a final practice of the countdown and liftoff sequence for this uniquely complex mission. 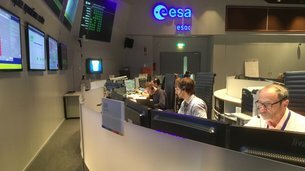 Engineers worked throughout the day in ESOC’s Main Control Room simulating BepiColombo’s launch, maintaining data and voice contact with their counterparts at Europe's Spaceport in Kourou, French Guiana, and at the ground stations that will support BepiColombo’s departure. The real countdown at mission control will start just after 20:00 CEST on Friday evening, with liftoff set for 03:45 CEST (01:45 UTC) on Saturday, 20 October. 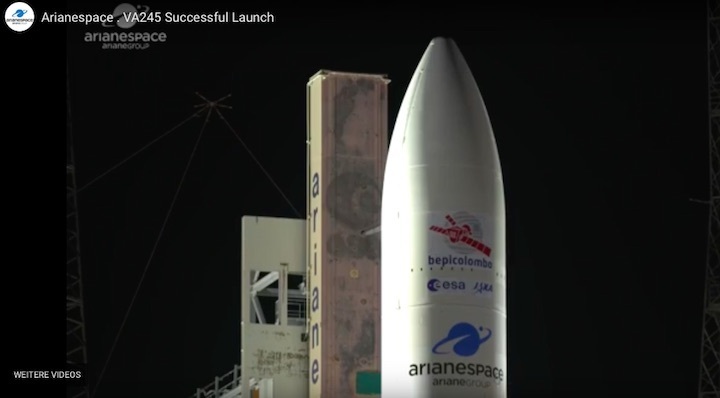 BepiColombo will hitch a ride on the back of an Ariane 5 rocket, taking off from Kourou in the early hours of Saturday morning. “Mercury is a planet of extremes, and getting there requires some equally extreme techniques, navigation solutions and operations expertise,” says Paolo Ferri, Head of Mission Operations at ESOC. Today’s dress rehearsal follows four months of simulations in which teams practised all phases of flight control, including how to handle unexpected contingencies. The satellite itself joined mission controllers for today's test via an umbilical cable — a connection that will be dropped just a few minutes before liftoff (watch live on 20 October starting at 03:15 CEST). The first few hours of flight and the first few days in space are the most critical period in any mission. 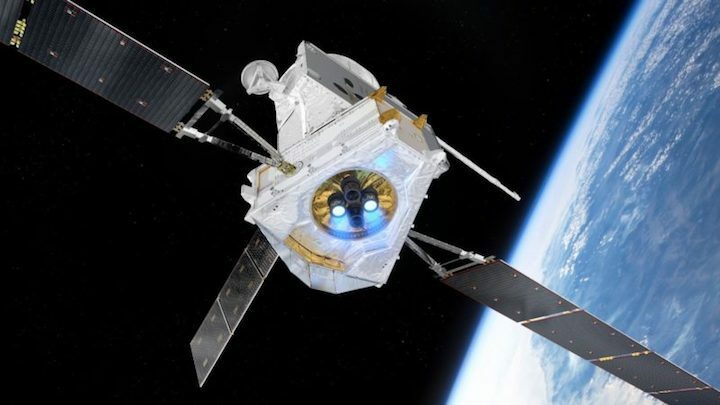 From liftoff until the spacecraft is functioning stably in its planned orbit, BepiColombo will be in what engineers call the ‘Launch and Early Orbit Phase’ (LEOP) — the period in which the spacecraft is gradually switched on and systems are checked out to ensure the craft is healthy. “At this point we are at the interface between Earth and space,” explains Elsa Montagnon, Spacecraft Operations Manager for BepiColombo. 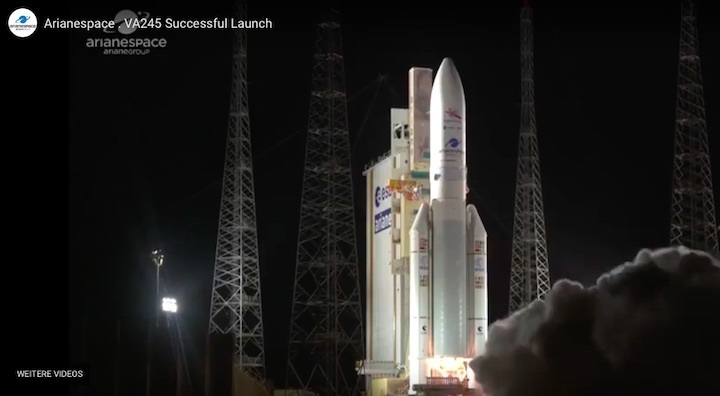 At about 26 minutes after liftoff, BepiColombo will separate from the Ariane 5 ‘upper stage’, and ten minutes later teams at ESOC will be keenly awaiting the first signals from the interplanetary explorer itself, now travelling solo. 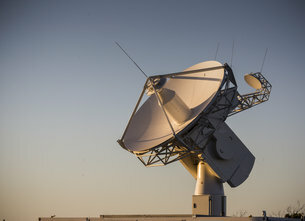 This ‘Acquisition of Signal’, or, AOS, is expected at about 04:22 CEST, and will be picked up by the New Norcia ground station in Western Australia — part of ESA’s global ESTRACK network of antennas that scour the skies to communicate with spacecraft and launchers. Compared to satellites that spend their lives in orbit around Earth, BepiColombo will be immediately ejected from its home planet and begin heading in the direction of Venus. After mission control establishes a data link with the spacecraft, teams must still wait about an hour to deploy the spacecraft’s solar arrays, and longer still to deploy its antennas. These vital steps will be “seen” by ground teams through telemetry — real-time status updates — received from the spacecraft. While BepiColombo’s main science camera is enshrouded for the trip to Mercury, the craft is equipped with three low-resolution monitoring cameras to provide additional visual confirmation that arrays and antennas have deployed correctly — images of each will be received by ESOC over the course of the weekend. All this information will be closely assessed before flight controllers can finally determine that the mission is off to a good start. “This is an exciting time,” says Rolf Densing, ESA’s Director of Operations. Go to esa.int/live to watch the launch live from 03:15 CEST on Saturday, 20 October, 2018. 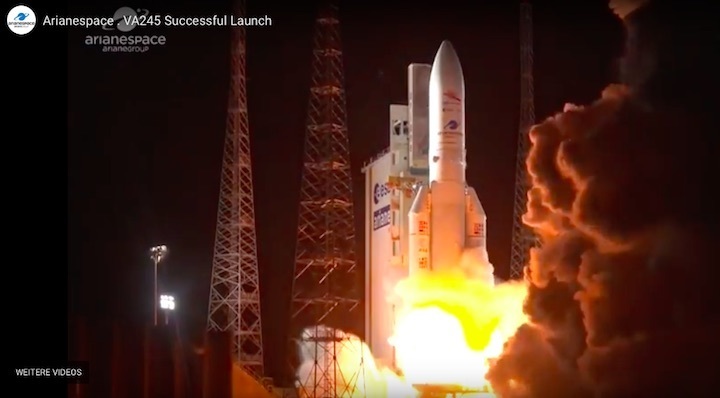 The Oct. 19 launch of BepiColombo was Arianespace's seventh mission of the year and the 101st launch of an Ariane 5 rocket. Credit: Arianespace video still. 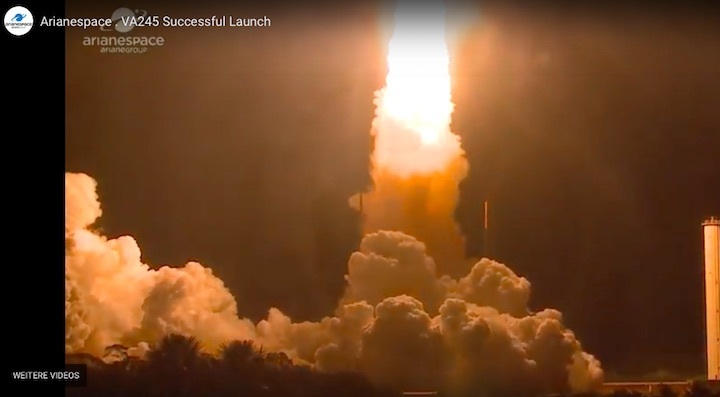 WASHINGTON — A Mercury-bound science mission from the European and Japanese space agencies began a seven-year journey to the Solar System’s smallest planet Oct. 19 aboard and Ariane 5 rocket. 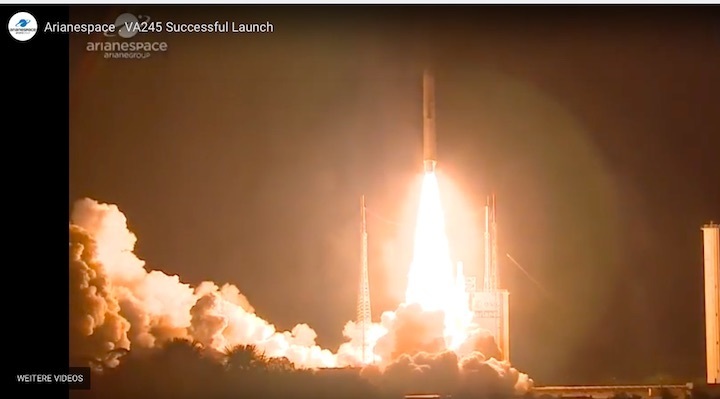 The BepiColombo mission took off from the European Spaceport in Kourou, French Guiana at 9:45 p.m. Eastern, marking the beginning of a 9-billion kilometer trip to the closest planet to the Sun. BepiColombo’s four parts — two science orbiters, their carrier unit and a sunshield — separated as one 4,100-kilogram payload from the Ariane 5’s upper stage 27 minutes after liftoff. 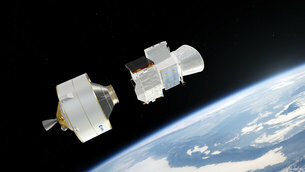 ESA confirmed signal acquisition shortly after separation from the Arianespace-operated launcher. 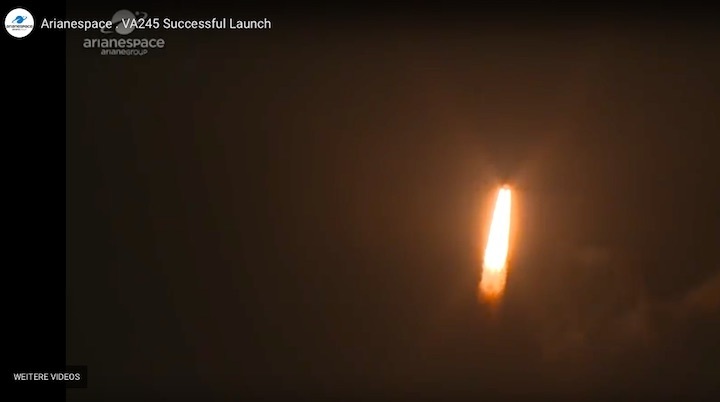 The spacecraft now begins a journey that includes nine planetary flybys for gravitational assists — one of Earth, two of Venus and six by Mercury — in order to safely arrive in orbit around the planet. A direct trajectory to Mercury would give BepiColombo too much speed to not succumb to the sun’s gravity. 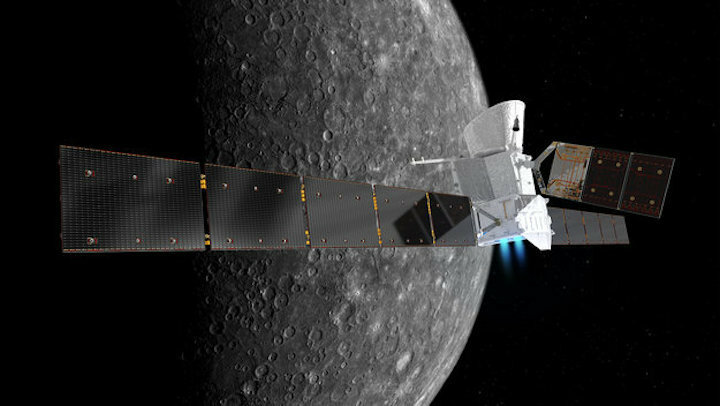 Once in Mercury’s orbit, BepiColombo’s carrier spacecraft will release the two orbiters, the European Space Agency’s Mercury Planetary Orbiter, and the Japan Aerospace Exploration Agency’s Mercury Magnetospheric Orbiter, to begin a one-year science mission. 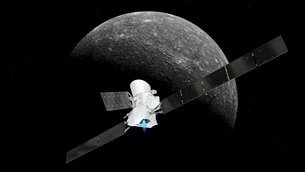 BepiColombo is JAXA’s first joint mission with ESA, and both space agencies’ first mission to Mercury. The science mission builds on research from Mercury’s only two science missions: NASA’s Mariner 10, which performed three fly-bys in 1974 and 1975, and NASA’s Messenger, which orbited from 2011 to 2015 before crashing into the rocky planet’s surface. 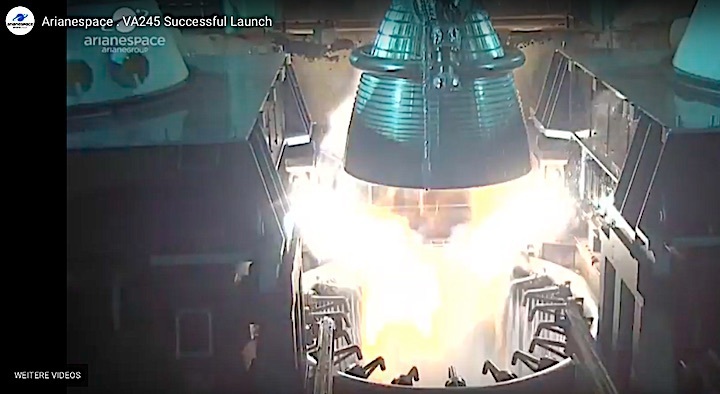 ESA member states almost cancelled BepiColombo after the mission, which began in 2000, grew too large to fit in a Soyuz rocket, requiring a more expensive Ariane 5 to continue. 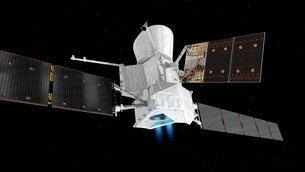 In 2009 ESA approved the redesigned mission, featuring systems optimized for the extreme temperatures near Mercury, despite the increased cost. Once at Mercury, ESA’s Mercury Planetary Orbiter will study the surface of the planet using a suite of 11 instruments. JAXA’s Mercury Magnetospheric Orbiter, equipped with five instruments, will study the planet’s magnetosphere and its interactions with the sun. Airbus Defence and Space is the prime contractor for ESA’s part of BepiColombo, having led a team of 83 companies from 16 countries in building the Mercury Planetary Orbiter, the carrier module and sunshield. 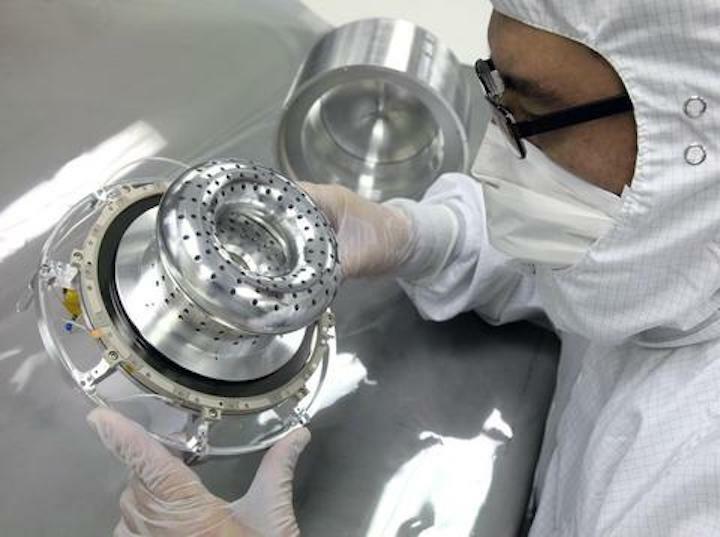 Japan-based NEC Corp. led an industrial team in building JAXA’s spacecraft. 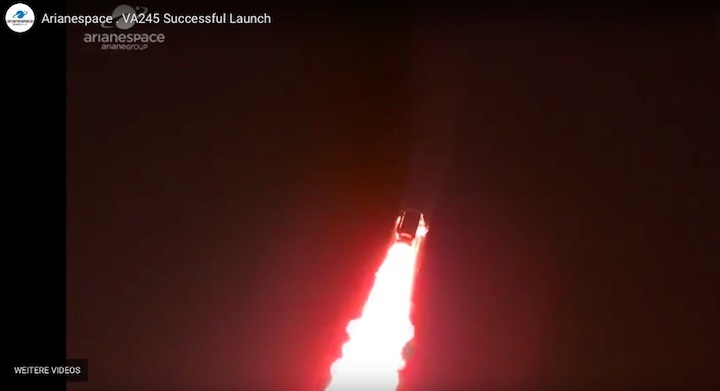 Manufacturers for BepiColomobo had to build unique technologies, such as British company QinetiQ’s new, highly efficient electric propulsion system to slow the spacecraft, and German manufacturer Azur Space’s solar cells capable of generating power while enduring higher than normal temperatures. Temperatures around Mercury range from 450 to -180 degrees Celsius (around 850 to -300 degrees Fahrenheit). Johannes Benkhoff, BepiColombo mission scientist at ESA, said 80 percent of the materials for BepiColombo needed to be specially qualified to ensure they could survive the mission. BepiColombo is named after the late professor Giuseppe “Bepi” Colombo, from the University of Padua, Italy, who studied Mercury and suggested NASA fly its Mariner 10 orbiter by Venus for a gravity-assist, enabling the spacecraft to fly by Mercury three times. BepiColombo is scheduled to arrive at Mercury in December 2025 and begin its science mission in 2026. Benkhoff said a decision will have to be made whether to fund the mission for an additional year. 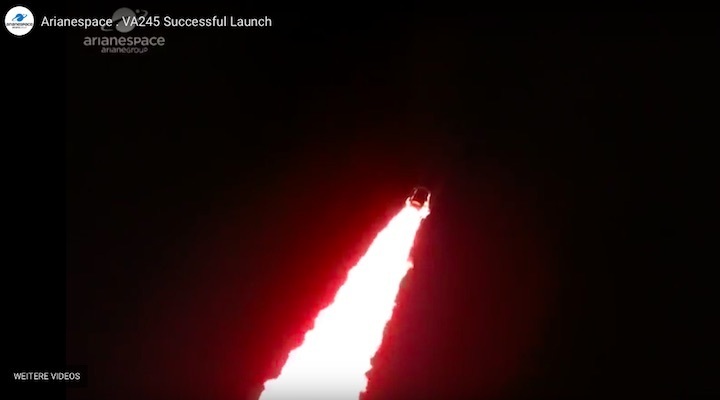 Though current plans call for a single year of research, the spacecraft are designed to operate in a research mode for two years, he said.